Very early title from the Royal Enniskillen Fusiliers. Known as the “INNG.F” title, it is an early example from circa 1900. A rare surviving example. 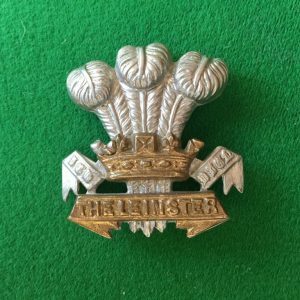 This shoulder title was worn by a member of the Royal Inniskilling Fusiliers during the period of the Boer war. 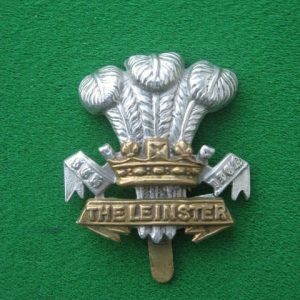 This is one of the earliest titles to the regiment. 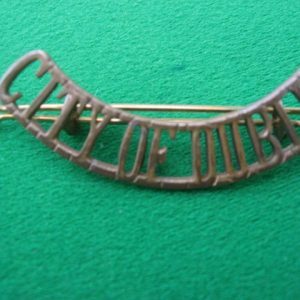 Ray Westlake, author of the authorative book on colleting metal shoulder titles identifies this particular title “INNGF” as the style being worn by enlisted men circa 1900. See page 87 “Collecting Metal Shoulder Titles” Westlake, R.A., (1980). This title is in very good condition and retains one of its two lugs at reverse.